Stupid stereotypes aside, I can understand why Leeds at a first glance may seem like it's all about the great food scene and high end shopping.. but don't let the fancy shopping centres and Michelin starred restaurants fool you - if you look a bit more closely you'll find there's plenty more to Leeds than this glossy image. Make an effort to look just under the surface of this vibrant city and you'll find some very unusual, creative fun occurring. If you're struggling to find this yourself then here are some of my personal favourite places to experience something a bit different in Leeds..
Where else can you find yourself enjoying a delicious three course meal in various themed rooms with a different live performance in each? Or bouncing around a dance floor on a space hopper in a wedding dress at a Friday night drag party? The Live Art Bistro always seem to have some sort of interesting event or performance happening. 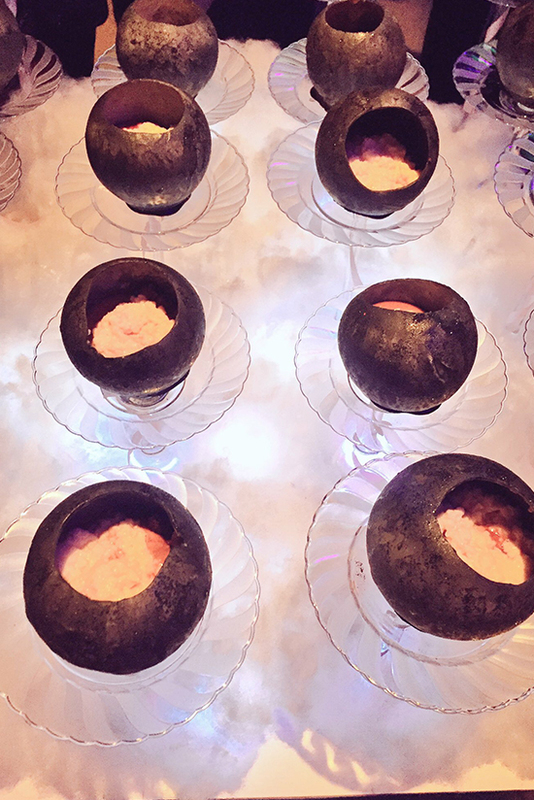 Some of my recent favourites have been the 3 course Live Art Dining experience (see amazing desserts made by The Swine That Dines below), and the What A Drag Night where we got to see some very unusual performances, dance in costumes and give Top Joe a brilliant makeover. 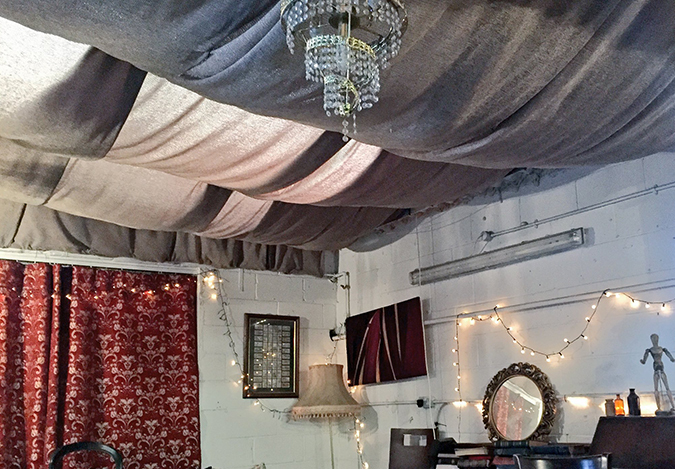 Nestled in the old train archways in Holbeck, the HUB is a great place to see live performance in a unique setting. Looking from the outside you wouldn't guess that through the door and behind the big curtains, it's like stepping into one of those makeshift living room tents you come across at festivals - with comfy sofas, mismatched furniture, chandeliers and fairy lights decorating the room. Step even further in and there's even a full theatre seating and stage area. The great news is that if you're feeling a bit low on brass then it's perfect too as they run it as a 'pay as you feel' concept - you pay what ever you decide once the show's over. 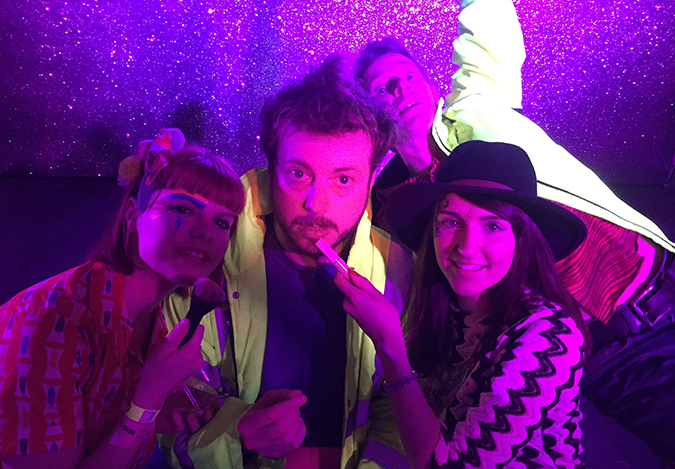 The drinks are cheap, the show's are often hilarious and thought provoking and it's just a lovely place to enjoy some Sunday afternoon fun in Leeds. Find their upcoming events right here. When I told everyone I was off to play bingo one Wednesday evening, I got many a "Really? Is that how sad your life is now?" looks.. but what I tried to explain was that Bongo's Bingo isn't the typical silent bingo hall and pensioner set up. It is in fact, a bingo rave. The actual game is the same - numbers are called out and you have to match with your cards BUT between numbers and games you will find yourself dancing on the benches, watching grown men dance around in dresses and drink more wine than's really allowed for a week night. The prizes start terrible, we're talking box of coco pops and a unicorns head but as the games go on we go into £100 winnings. Well worth the £5 ticket price (maybe not so much the Thursday morning hangover). 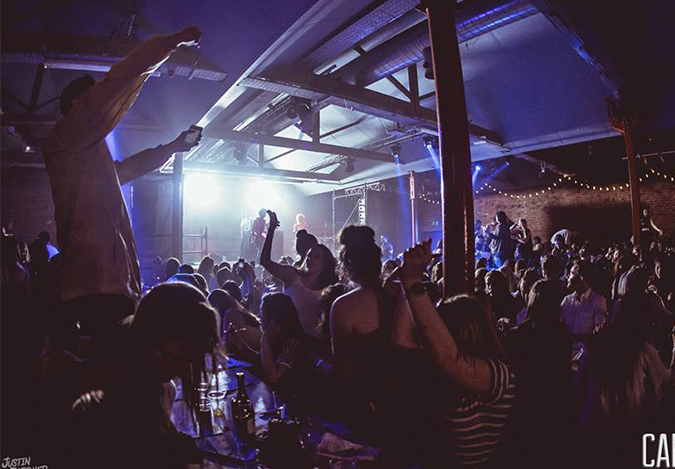 Find their upcoming events at Canal Mills here. I had my first Riptide experience a few months back when I went to SWARM. Described as 'not a club night or a theatre experience', I decided I wanted to find out what the hell it was and booked tickets. It was a bizarrely fun night. We entered the event through a series of rooms, with a person behind a wall and only a letterbox to speak to you through in each. It had such an Alice In Wonderland vibe! You paid for your drinks in tiddlywinks which were purchased from the letterbox people - with various coloured drink options available. Soon we were dancing and then the live performances began happening around us - it was fun waiting to figure out who was part of the performance and who were just unsuspecting ticket holders like ourselves. 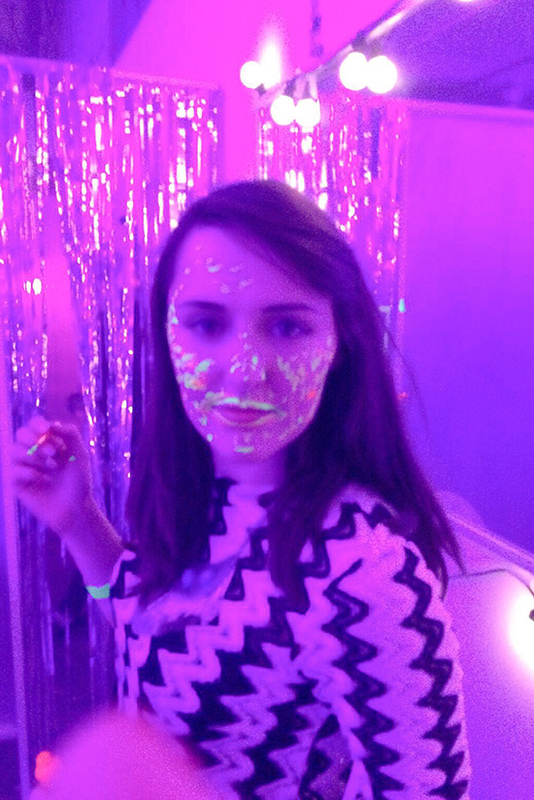 A few too many 'red drinks' in and we discovered the UV paint room.. it's safe to say I looked a bit mental walking home that night. 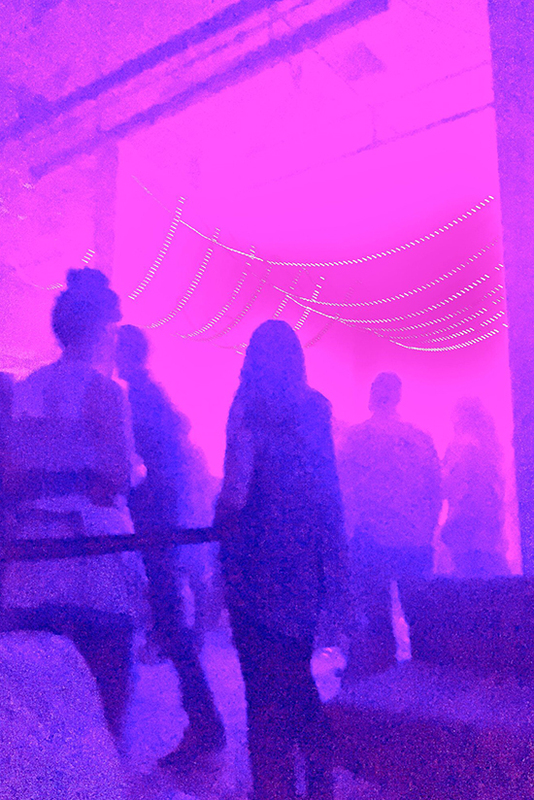 After a bit of exploring we also discovered a secret box room which was all mirrored, and were allowed in to have our own personal rave in their for 5 minutes. Not the usual night out! Look out for future Riptide events here. It's been around for a while now but there's a reason Bettakultcha is still going strong after 6 years with a cult following. Presenters are allowed 20 slides and 15 seconds on each to run through an idea, experience, or whatever the hell they want with you - it's a night you're guaranteed to laugh and find out something unusual. After the main presentations there's also a random slide challenge where you can volunteer to go up and present yourself! My plan is to bring someone on a first date and make them get up and do the random slide challenge with me - I'm sure they'd be really happy about it! 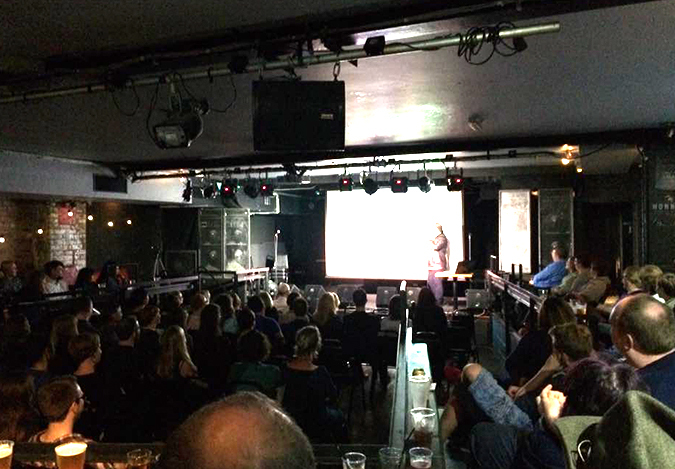 Find upcoming Bettakultcha events here. 6. Poetry Slams at the West Yorkshire Playhouse. When you think of the West Yorkshire Playhouse you probably picture normal plays/ theatre performances and wonder what's so unusually fun about that? Well take a deep dive into the event listings and you'll find they host their fair share of different events too. I recently attended an incredibly fun poetry slam from the Leeds Young Authors and ended up being wowed by a 10 year old who had more talent than I do in my little finger! Check out all their full event listings right here. The well established Seven Arts Leeds is the place to go to fill your evenings with a variety of fun events, plus it has a cosy cafe where you can grab a decent cup of coffee. Seven is home to the long running Sunday Jazz sessions, Kill For A Seat comedy nights and the unusual but interesting Cafe Scientifique. Find their various events right here. From a diverse range of interesting film screenings, to fun theatrical adaptations and comedy threepenny opera - you can find a whole host of different events at the Otley Courthouse, making it a worthwhile venue to venture out of the city centre for. See their upcoming events here. 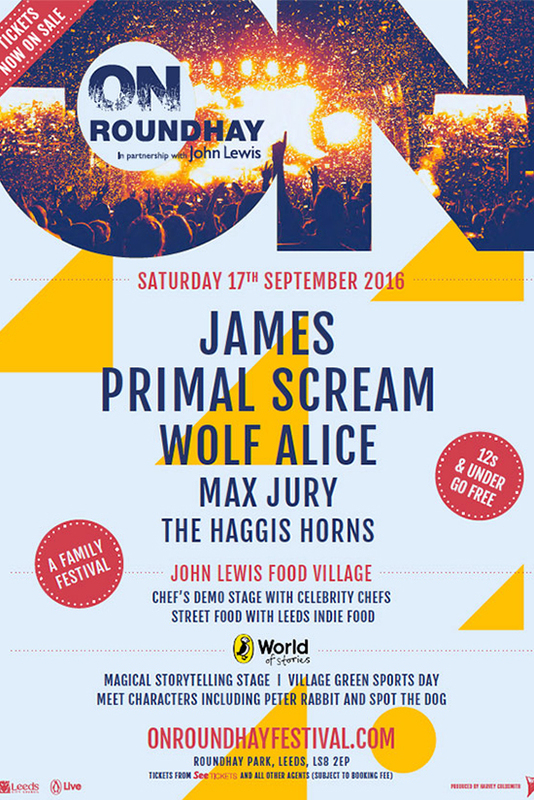 Another thing worth a mention that's slightly unusual for Leeds is On Roundhay - which is Roundhay Park's first music festival in 10 years! 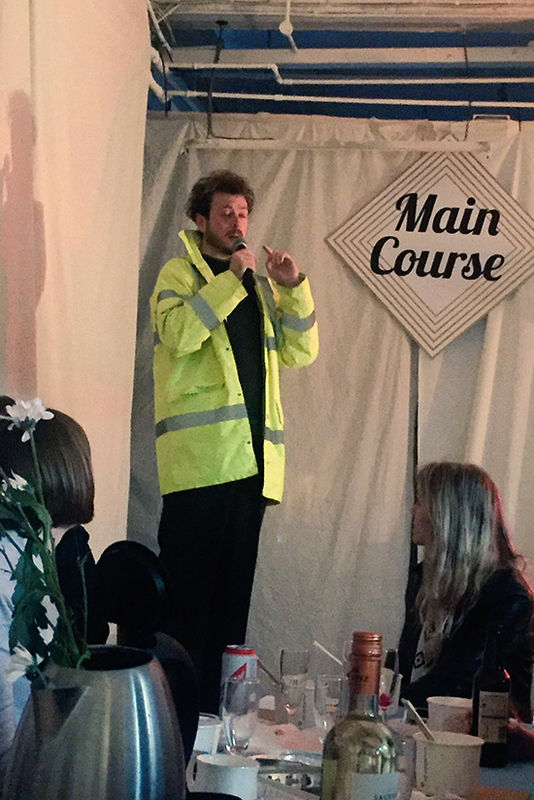 On Roundhay will host class acts like James & Primal Screem PLUS it'll be a foodie's dream as Leeds Indie Food are providing us with a host of great street food vendors (including my absolute favourites 'Golden Balls' which you NEED to try!). 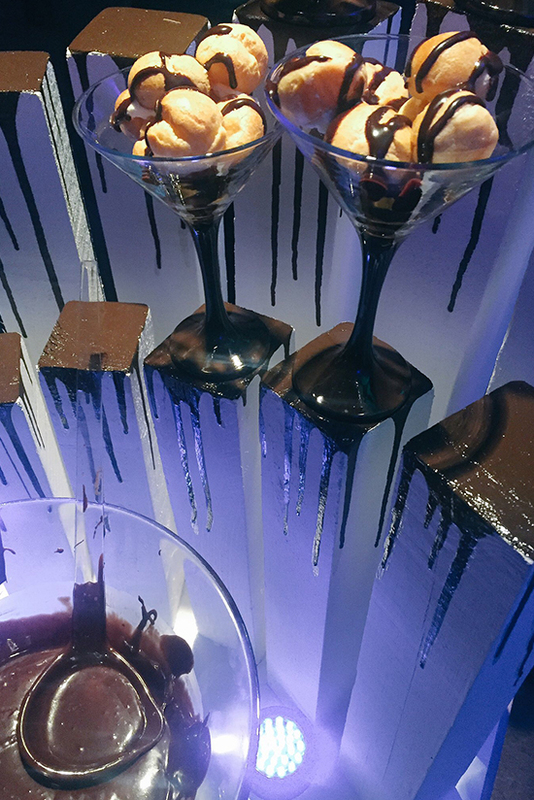 There's also plenty going on other than the music to keep you entertained including dining experiences, celebrity chef demonstrations, and entertainment stages for the kids. There's still some tickets left so you can grab yours here. So there you have it, there's plenty of fun to be found in leeds - I'm sure there's many I've missed off too! Where's your favourite place for unusual fun in the city? Leeds sounds like a pretty exciting city!